The Nigerian Communications Commission, NCC, has announced a measure to combat unsolicited text messages from telecommunications networks to subscribers. In his a speech at the 2016 Lagos International Trade Fair over the weekend, the Vice Executive Chairman of NCC, Umar Danbatta announced the launch of “Do-Not-Disturb Code, 2442” which subscribers can use to combat the menace of unsolicited text messages. Dambatta also warned that vendors who are in the habit of selling pre-registered sim card will be appropriately dealt with if apprehended. 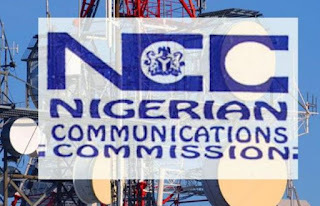 The NCC boss urged the general public to report any vendor caught selling pre-registered Sim cards to security agents. According to Dambatta, “We also hope that consumers are taking advantage of a number of solutions, which the Commission have evolved to improve the quality of experience of subscribers in the network. “The latest of such solution is the Do-Not-Disturb Code, 2442, launched by the Commission, to combat the menace of unsolicited text messages. The power to receive, or reject any text message is now in the hands of the consumer. All the service providers have been mandate to implement and educate consumers on how to restrict those message sand voice calls that are considered unsolicited. “We are using this opportunity to inform consumers, and members of the public to alert security agencies where they find anybody engaging in the sale, or use of preregistered SIM cards, as they pose a serious danger to our individual and collective safety. “Those found culpable also risk severe penalties of fine and imprisonment. We have also sent serious warnings to the service providers to ensure that their dealers and sub-dealers, who have a role to play in the sale and activation of services, are not culpable in the perpetration of this crime. On the issue of porting of lines, Danbatta said, “Porting of lines where the consumer is not satisfied with his or her network provider but still desires to keep his or her number while obtaining services from other service providers is still in place. The Commission had few days ago warned GSM telephone service providers against short-changing their customers.